You are reading this article implies that you’ve got a business and are all set to leverage the social media to the fullest. That’s a great sign and you are heading the right way. The first thing that comes to mind when one talks of promoting business online through social networks is – Facebook. Facebook fan page. Creating a Facebook fan page is most probably the first step towards establishing an online presence for most brands. With over 50% of the social platforms active users (stats by GlobalWebIndex) hooked to Facebook, there is immense scope of creating a brand image and captivating likely prospects. The sole idea of having a Facebook page is to grab the mass’s attention, thus making a brand statement and thereby generating more leads for your business. Lamentably, the process of creating a Facebook fan page, branding yourself through it, and grabbing a market share is not as easy as it sounds unless you play witty. Like every other promotional campaign, creating and managing your brand’s Facebook page needs a blueprint. The strategy you design depends on the outcomes you expect from your business’s Facebook page; some being- branding your business, creating a word of mouth, funneling leads to conversions, product showcasing and advertising, or connecting with your customer base. The message the fan page’s cover conveys is a reflection of your brand. 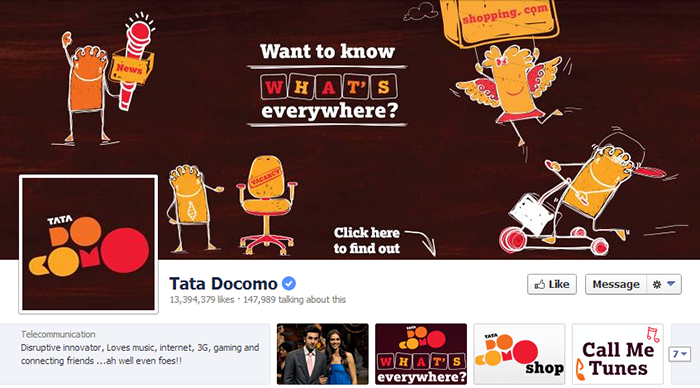 The cover of a brand’s fan page is more or less akin to what a logo is for a website. You can very well gauge a fan page cover’s prominence from this analogy. Unlike a webpage or a blog, Facebook Page’s features are limited and one must ingeniously deploy every feature to reap the best ROI. Amongst the features available, the fan page cover image is the most prominent. Many brands have used it in a way that created awe within the followers and could successfully get our eyeballs glued to them and instill within us an urge to know more about a product featured in the cover, or about the brand itself. If you aim to be one such brand that makes a mark on the gigantic social network, getting creative with your fan page cover is what you should be doing next. 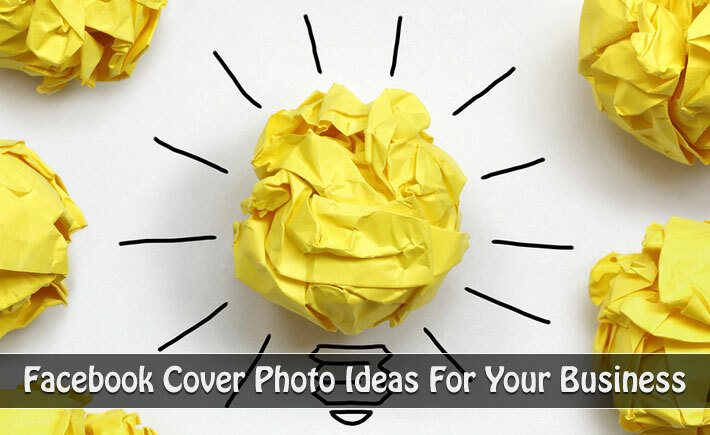 Here are some out-of-the-box Facebook cover photo ideas on how you can make the most out of your brand’s Facebook page with a creative edge. 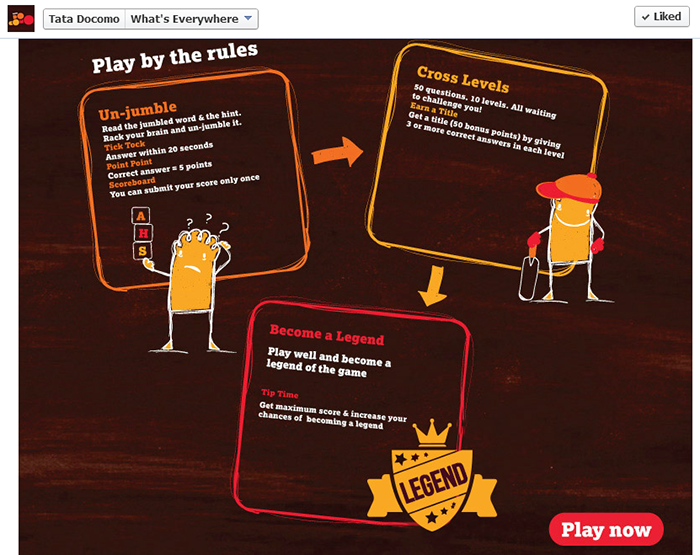 I’ve also collected some examples of how some businesses are already deploying the respective ideas. Let’s get started; put on the creative hat…. Putting up your brand’s accomplishments on your fan page cover could help you gain the much needed pro image in your business niche. It could be announcing a milestone in your business or any of the top level employee’s victory. Though publicizing the employee’s victory seems not to be directly pertaining to your business, projecting their success can aid in improving the brand’s credibility. After all, employees make a brand; isn’t it? On the contrary, if you choose to boast of your business’s age or customer base you can reap the same kind of benefit as your brand’s expertise would be brought into picture. This is exactly what Rolex is has been upto. Its cover hunts down two birds at once, as it conveys that it has been on role for many years while bragging about its customer base on the other hand. Another great example is Bisleri which showed off its huge fan base through a series of covers that had a countdown to the number of likes it is gaining, finally ending with the 1 lakh Likes milestone. You can consider promoting your services or website on the cover. This would help you draw some traffic to your website/blog which can be further used for better conversions. Here is how VH1 used the same strategy. It made a great use of the cover, aesthetically pitching music download service through its sms portal and website. The aesthetics are achieved by ingenious use of colors and skillfully merging the profile image with the cover. Won’t we reflect love on brands that show love for us? Spreading some love to your brand’s fans can get you the mass’s attention. You can do so by acknowledging your fans loyalty. Check out how KFC put this up. This for sure is a great fan/like bait and a potential share on fan’s walls. A new product’s popularity can be given the needed initial nudge if you choose to place it on your brand’s cover page. It’s the best way to get an exposure for your products. 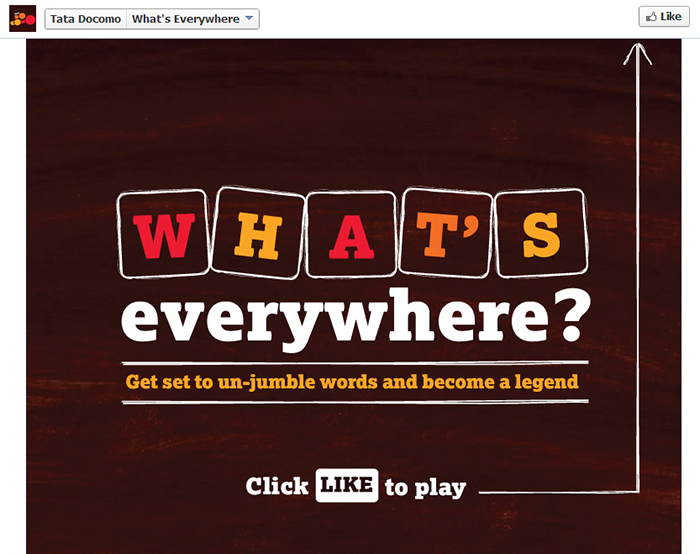 To top it all, you could ensure that your product is projected in a luring and catchy way like what Maggi and Subway do. Are they not so clickable? The image itself makes me wanna drive down to Subway. Imagine your product achieving the same feeling from your fans. Hardly takes time to convert leads. This idea has been largely used by brands to make important announcements; be it the winner of a content, a new business wing, new product, launch dates, giveaways, an event, offs and offers, etc. Doing this can help you get your tabloid reach fans who don’t generally check your newsletters. Facebook fan page updates are relatively checked more often. Below are some such brands. Sometimes the cover can be something that has no direct influence on your business and yet gets into the impression of your prospects and fans. Playing around with designing skills and managing to upload an enticing image as cover can shoot up the chances of your cover being liked and shared; thus, circulating your Facebook page virally. Look what captivating and sharable cover these are. While writing this article, I could not resist sharing Louis Vuitton’s cover on my wall. Thankfully Facebook has recently updated the cover image & 20% text rule guidelines which were quite strict earlier. Now, one can use a call to action in the page cover. Earlier Facebook banned covers using words like 80% off, download for free, contact information, words compelling fans to share the page, trying to get people to ‘like’ ‘click’ or ‘share’. Thankfully, almost all of this is now a past now. Facebook marketing expert Mari Smith placed a clean CTA to grab more enrollments for the free webinar she is hosting. Once you click on the CTA, the image gallery lightbox pops up where in you can find further details and registration link placed in the image description. Yet another great example is that of Docomo. They placed an intriguing ‘Click here to find out’ CTA pointing to one of its tabs. On clicking the tab, you are directed to a fan gate that encourages you to go ahead and click the like button. Once the page is liked, the fan gate reloads to a game that totally entertained me and wittily got me share the game result on my profile wall which again lead a friend of mine do the same. This kind of interlinked strategy has proved that the call to action could be a side – kick to the HTML tabs and landing page super-heros. Back in July, Facebook removed any reference to the 20% rule on text in Cover Photos … but that doesn’t mean you should go wild with using text in your cover photo. You can use the Pavoo cover compliance tool to check if your fan page cover meets the guidelines stated my Facebook, before uploading the cover. Blending the profile image with the cover, like that of Louis Vuitton and VH1, pimps up the whole look though it take longer to design such perfectly merging images. Signing off hoping that this list gave you some good inspiration to get you started with your brand’s Facebook page cover. Do share your views and further ideas on the same if any in the comments; let us all benefit from it. All the best! Great cover photos. Cover photos will definitely help one’s business.